You're not run-of-the-mill... so why should your wedding be any different? Let's give your event or celebration that extra special, bespoke touch! Please provide paper stock which is suitable for pointed pen calligraphy (no glossy or extra-fibrous paper). Prices below do not include set-up and postage. 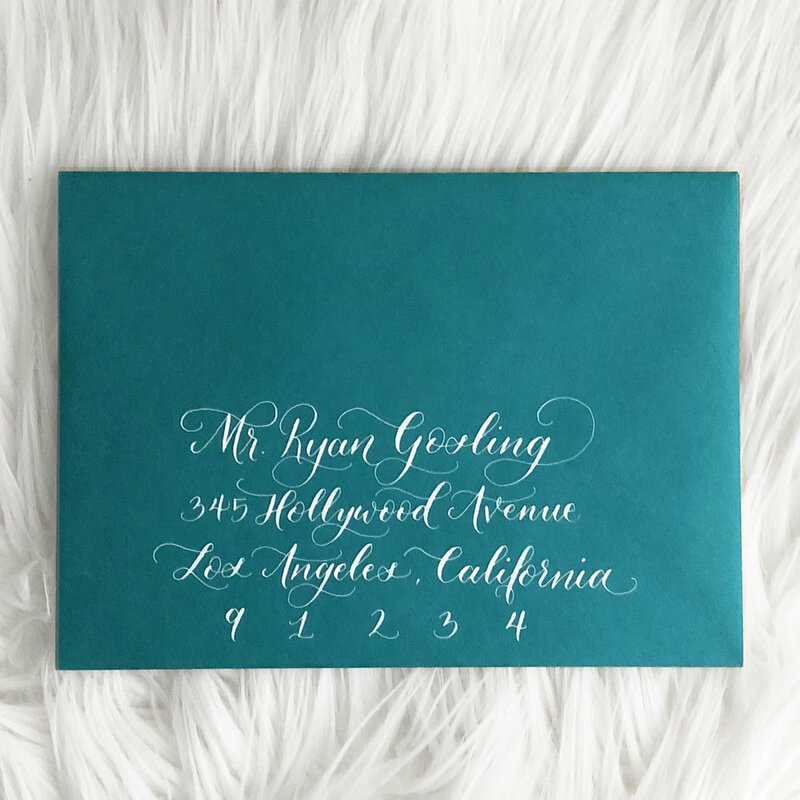 *After a style consultation, I provide three different sketches of your names or monograms for you to choose from. Additional rounds of sketches are $50. Once you select your favorite, you get one round of revisions to tweak your design so it's perfect. Then, I do careful digital clean-up and provide high resolution JPEG and PNG files. IF YOU LIKE MA STYLE, THEN I'd love to hear from you! Please complete the following to request a quote, or ask any questions.